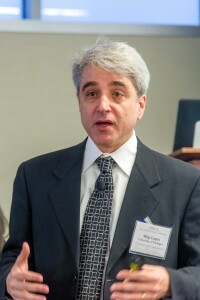 The National Science Foundation (NSF) has announced that it has chosen Dr. Arthur “Skip” Lupia to serve as the next head of its Social, Behavioral, and Economic Sciences Directorate (SBE), following the expiration of Dr. Fay Lomax Cook’s term. Dr. Lupia is currently the Hal R. Varian Collegiate Professor of Political Science at the University of Michigan. He is also the chairman of the board for the Center for Open Science and the chair of the National Academies Roundtable on the Communication and Use of Social and Behavioral Sciences. Dr. Lupia served on COSSA’s Board of Directors in 2014 and participated in a panel discussion on “Reestablishing Trust in Social Science and Data” during COSSA’s 2018 Science Policy Conference. His research interests include voting, elections, persuasion, opinion change, civic education, coalition governance, legislative-bureaucratic relationships, and decision-making under uncertainty. Dr. Lupia’s term as Assistant Director for SBE will begin on September 1. COSSA congratulates him on his appointment and looks forward to working with him in his new role to continue to advance the social and behavioral sciences.